Can it be? Has it really been six weeks since Liz and I kicked off our second annual #HealthyNewYear 6-Week Challenge? Each week, we challenged you and the nearly 1000 members of the challenge Facebook group to make one healthy change in your lives. You inspired us and amazed us with your motivation, your successes and struggles, and your insightful questions and solutions that lead to healthy changes. For those just tuning in, we focused on one topic each week: boost protein at breakfast, go ethnic at dinner, try a new lean protein, reduce sodium with lemon, healthy snacking (Super Bowl and other) and incorporate full fat foods into a healthy diet. Be sure to check out our posts on those topics to do your own personal challenge and to try the accompanying recipes. In the Facebook group, we also had four exercise challenges: increase cardio, add in strength training, work on stretching flexibility and set a long-term goal. Thanks to each of you for joining us in this challenge. And a huge thank you to our sponsors for helping to make it all possible: Sabra, Stonyfield, Kroger, Milk Means More, Sunkist, and Gourmet Garden. Our hope is that you’ll continue to challenge yourselves to make healthy changes in your lives. As both Liz and I have learned along the way, a healthy lifestyle is not made just in six weeks, but it’s a great way to kick start things! You’ll come upon bumps in the road, but making gradual changes is the best way to form healthy habits that stick. 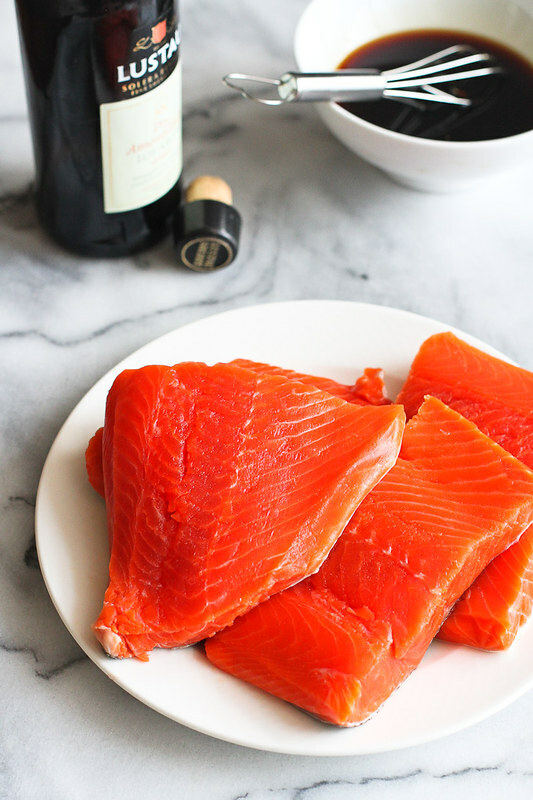 Before we get to the giveaway, I want to leave you with a healthy salmon recipe that is easy enough for a weekday meal, but impressive enough for entertaining. The marinade and sauce is flavored with dry sherry and soy sauce, and cooks in less than 10 minutes under the broiler. Adding salmon into your diet is a great way to boost healthy fats – we can’t get enough of those omega-3s! Be sure to check out Liz’s delicious looking recipe for Slow Cooker Shredded Pork Tacos with Pickled Onions! In a bowl, whisk together the sherry, soy sauce, ginger, honey and rice vinegar until completely combined. Transfer 3 tablespoons of the marinade to a separate bowl. Reserve for later. Place the salmon fillets in a large resealable bag. Pour in the marinade and massage the salmon to coat. Let rest for 30 minutes. Place the salmon fillets on the prepared baking sheet. Discard the marinade in the resealable bag. Place the baking sheet under the broiler and cook until the salmon is just cooked through, 7 to 10 minutes. Take care not to overcook it, or the fish will become dry and very dense. Transfer the salmon to plates. Heat the reserved marinade in the microwave for 10 seconds and drizzle over the salmon. Serve. * I used the nutritional information for wild sockeye salmon in this recipe. Disclosure: The fantastic giveaway items were provided by our amazing sponsors listed above. All opinions are my own. Thanks for another recipe for my favourite fish ! I love salmon it’s delicious and full of omega-3 fatty acids. But did you know that we can damage omega-3’s during the cooking? 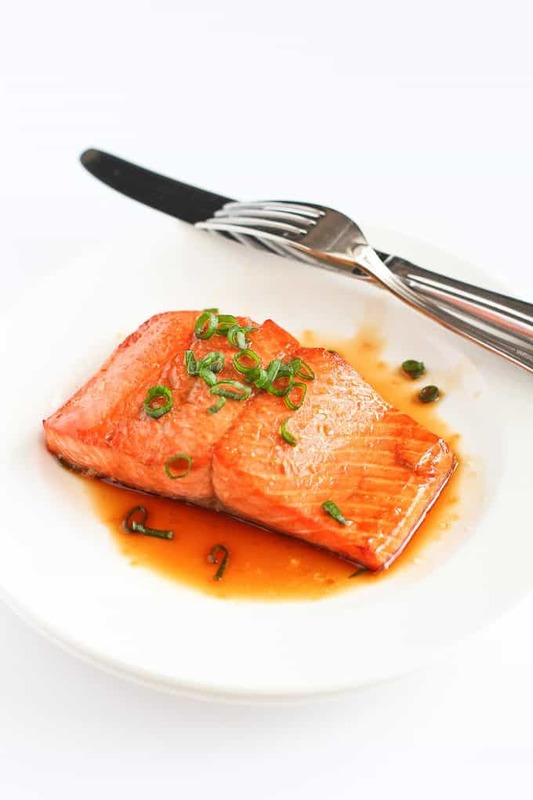 We shouldn’t cook salmon too long, because omega-3’s are so sensitive to high temperature. Fish should be juicy inside after cooking. Thank you Dara for the nice recipe. This is my ideal meal!! We almost always eat salmon this way although I don’t always use sherry. That needs to change! I love how delicious the flavors make this salmon! This looks absolutely amazing! THAT GLAZE! I could scoop that stuff up with a spoon! This is such a beautiful dish and I happen to have all the ingredients!! This is absolutely gorgeous salmon! Love the addition of ginger! So simple and so good! Love me some of this salmon! I love the simplicity of this recipe – I bet it’s absolutely delicious! Nom Nom Nom.. super simple and super tasty! 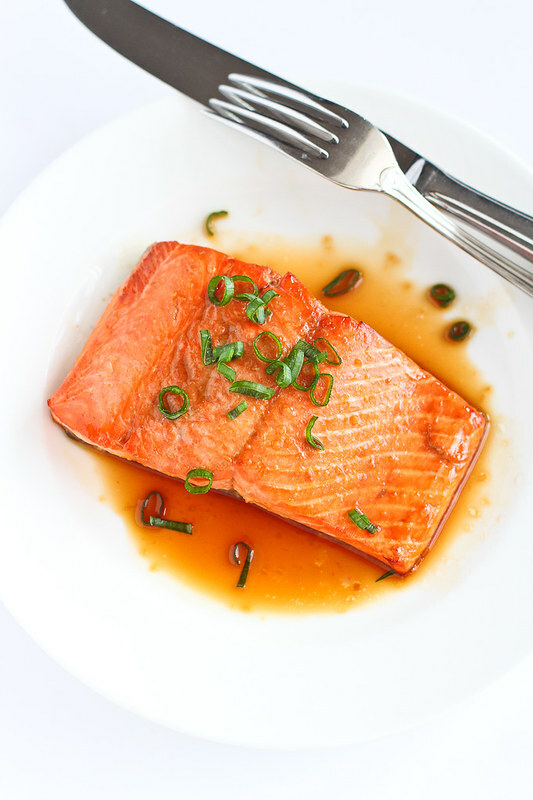 Salmon is one of our favorites …love this variation on my same-old same-old!